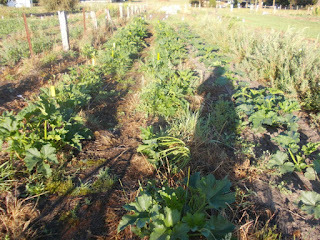 I am loving the weather at the moment - well... apart from not being able to harvest my garlic. We are having some nice rain every week which, combined with the hot temps is keeping everything humid and the plants are loving it. 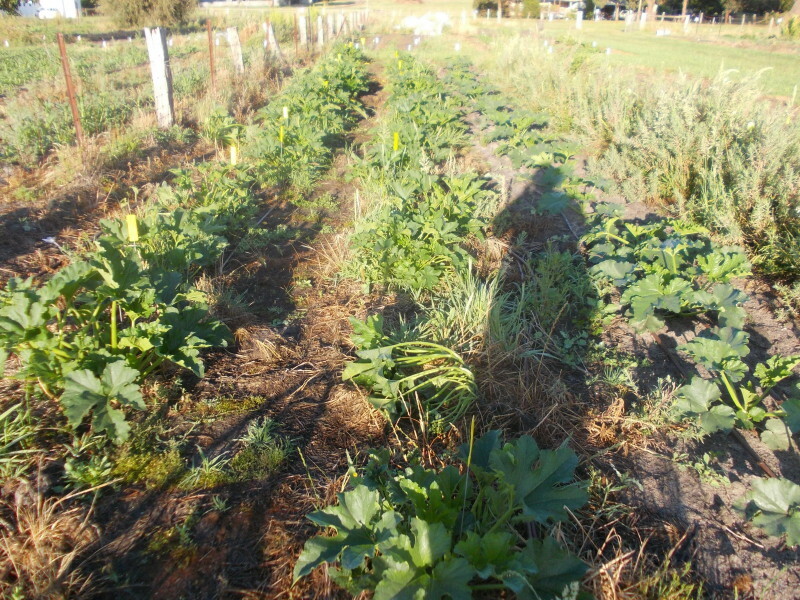 With the huge amount of weeds in the garlic I figured that the only way to harvest it is to mow it all down then fork up the beds. It would be a hundred times easier if the soil was dry. I wrote about the 'Phoenix' naturtium that I am growing this yer, well, the other one I got in was 'Black Velvet', shown here. 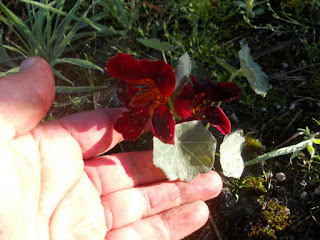 It is a smaller and bushier plant with very dark red flowers. They are very pretty. I am not sure whether the plants are supposed to be small, or the growing conditions are not to their liking but they need to put on a lot more growth if they will get big enough to collect a decent amount of seed. 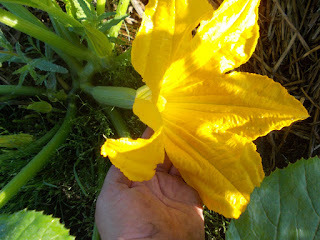 One of the plants of my new zucchini variety 'Caesar' has gigantic flowers. I think I will keep the seeds separate to see if people would be interested in a larger flowered variety for eating the flowers. I will see if I have enough room next year to do some experimenting with it. I am a bit disappointed in my 'Rascal' variety this year. I was hoping they would be stable enough to offer seeds from it after this season but, unfortunately, I am only getting 60% correct type of fruit this year. I understand that the genetics of the bicolour are difficult but I was hoping for better. If they are no better next year I might have to offer them just as a backyarder vegetable as there is only so many years I can spend on them before they have to pay for themselves. 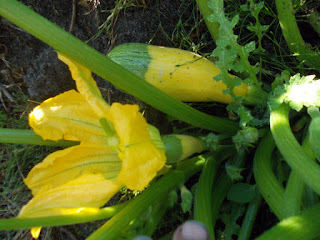 My zucchinis are loving the weather but I am worried about the risk of powdery mildew. At least I will find out if they have any resistance to it at all.